Constructed in 1973, the eleven-story, approximately 225,000-gross-square-foot Wolverine Tower building was purchased by the University in 1992 and houses administrative units. 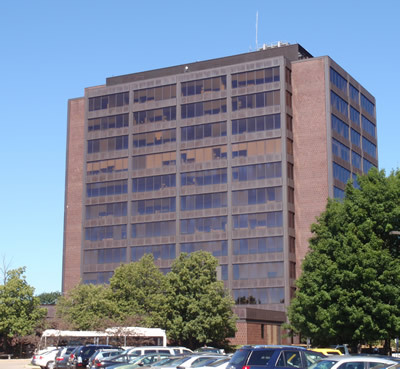 A renovation of approximately 61,000 gross square feet on seven levels will consolidate units currently spread across several floors, move all staff workstations out of the basement, and accommodate the relocation of MHealthy into Wolverine Tower, resulting in more efficient use of office space and increased cross-departmental sharing of both administrative staff and of common areas, such as conference and training rooms, kitchens and lunch rooms. The project will also address life safety and accessibility concerns and add a common lunch room, wellness area and showers, and a personal room.